The visualizations show intersection and union sizes of set combinations. By narrowing the number of set families to visualize to the branch points of the hierarchy the number of data points to show is linearly related to the number of sets under investigation, instead of the exponential if we chose to show everything. 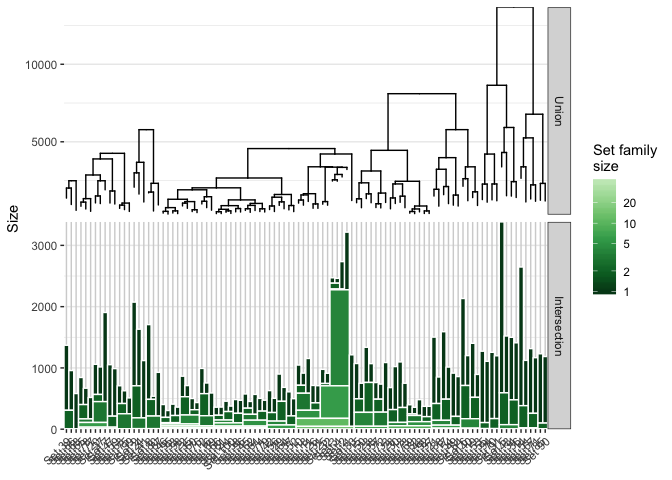 This means that hierachical set visualizations are much more scalable than e.g. UpSet and Radial Sets, at the cost of only showing combinations of the progressively most similar sets.